After the success of Ladurée: The Sweet Recipes (over 40 000 copies sold in France, rights sold in 5 languages), here is the second volume of never-before published recipes from the legendary Ladurée tea room. One hundred recipes written by the chef of Ladurée packed into a beautiful book and box reminiscent of the famous macaron boxes. The story of Ladurée started in 1862 when Louis Ernest Ladurée opened a bakery in the heart of Paris at 16, rue Royale. In 1872, following a fire, the little bakery became a pastry shop and the decoration was then done by Jules Cheret, a famous painter and poster-designer of the time. Jeanne Souchard, Ernest Ladurée’s wife, then had the idea of combining the Parisian café with a pastry-shope. She therefore created one of Paris’ first tea-rooms. In 1993 Ladurée is bought by Francis and David Holder and becomes one of the best-known gourmet addresses in Paris, a veritable institution with its famous “macaron” as its emblem. In 1997 Ladurée opens a tea-room/restaurant on the prestigious Champs-Elysées, followed by another in the Printemps department store and on the Left Bank as well as the beginning of their international adventure with branches in London, Geneva, Monaco and Tokyo. 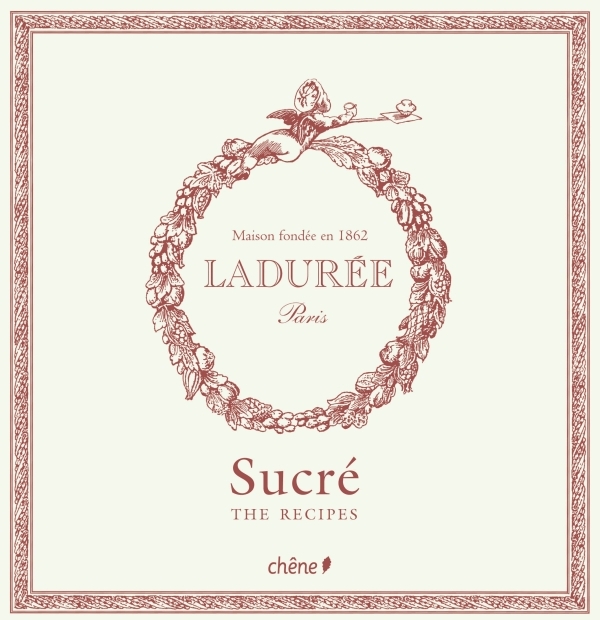 In this book Michel Lerouet, the Chef at Ladurée, reveals 100 of the most famous Ladurée recipes, adapted for the general public. From duck foie gras with rose macaroon to vegetable tagliatelles with Ladurée tea and cardamom, as well as the taramasalata éclair with rose petals, the Chef presents us with an entire artist’s pallet of appetizers, main courses, fish, meat, salads, omelettes… All with the Ladurée quality and creativity.